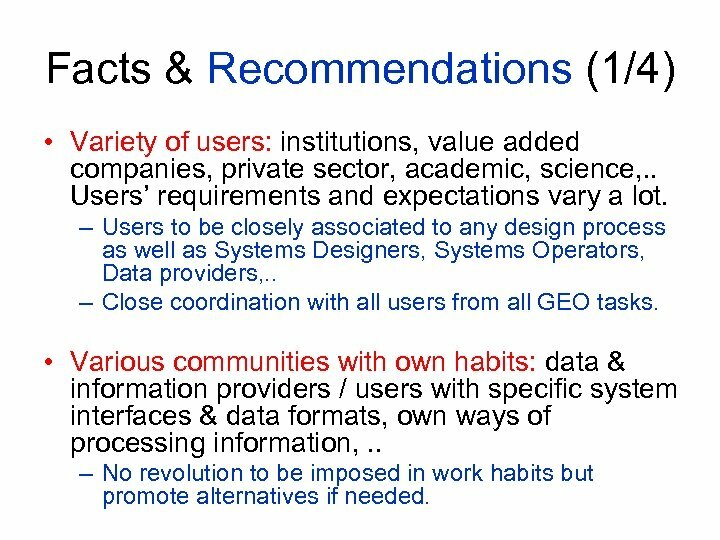 Facts & Recommendations (1/4) • Variety of users: institutions, value added companies, private sector, academic, science, . . Users’ requirements and expectations vary a lot. 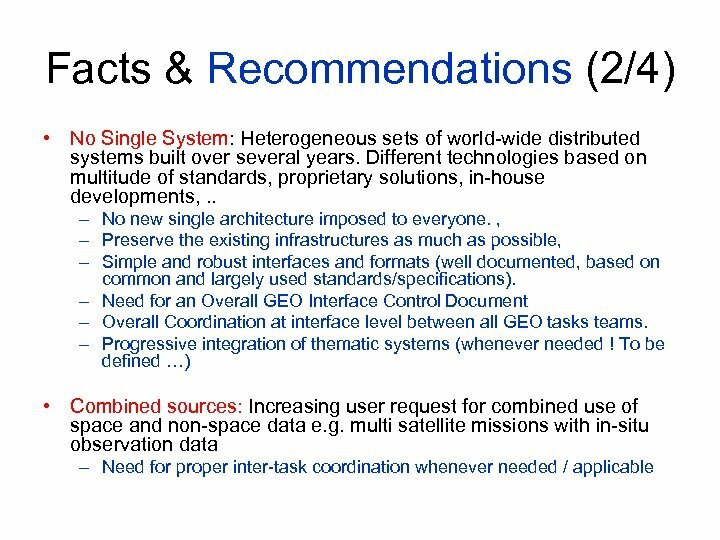 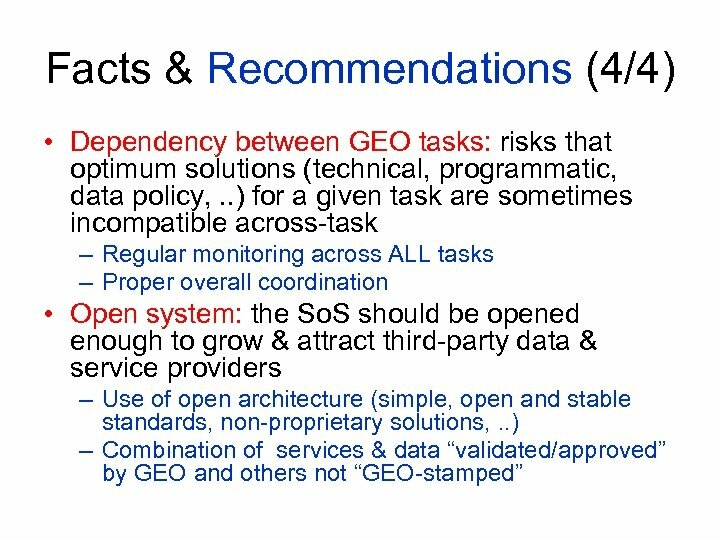 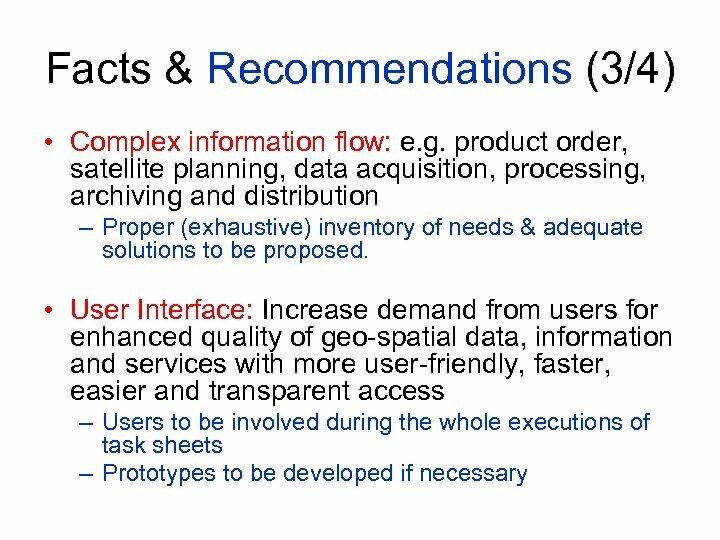 – Users to be closely associated to any design process as well as Systems Designers, Systems Operators, Data providers, . . – Close coordination with all users from all GEO tasks. 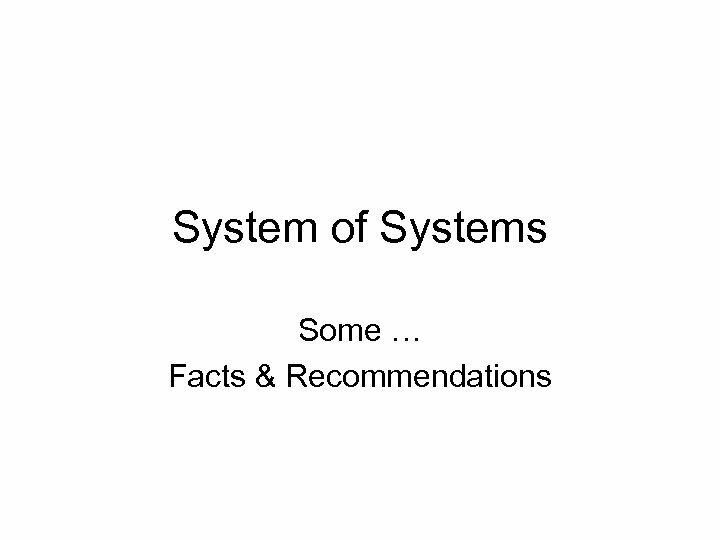 • Various communities with own habits: data & information providers / users with specific system interfaces & data formats, own ways of processing information, . . – No revolution to be imposed in work habits but promote alternatives if needed.